It was back to VIR for another event with Track Daze on the weekend of June 8th. We started Saturday wet, on the heels of Hurricane Abigail. This was my first chance to run on a wet track in several years and frankly I was looking forward to it. I had the treaded Kumho Ecstas on the car. I had a blast! For the first time in my 944 life, I got to experience power-on oversteer. Lots of it! It didn’t’ take very much throttle application to bring the back end out. I quickly learned to play with this and had a great time. With a very neutral throttle the back end still came out a little in “normal” cornering. That would tell me the car is oversteering but it doesn’t obviously oversteer on a dry track so I’m going to reserve judgement on whether any suspension adjustments are in order. I was running in the solo group. Lot’s of high power cars. I eventually found another 944 guy and a VW GTI guy that I could run with. So the 3 of us had fun with that. Sunday I mounted the Toyo RR’s. This was my first time on R-Comp tires. I had some trepidation and kind of eased into increased speed. But they certainly gave me confidence and could be pushed harder than I was used to. My best lap time went from 2:36 on Saturday to 2:29.8 on Sunday. 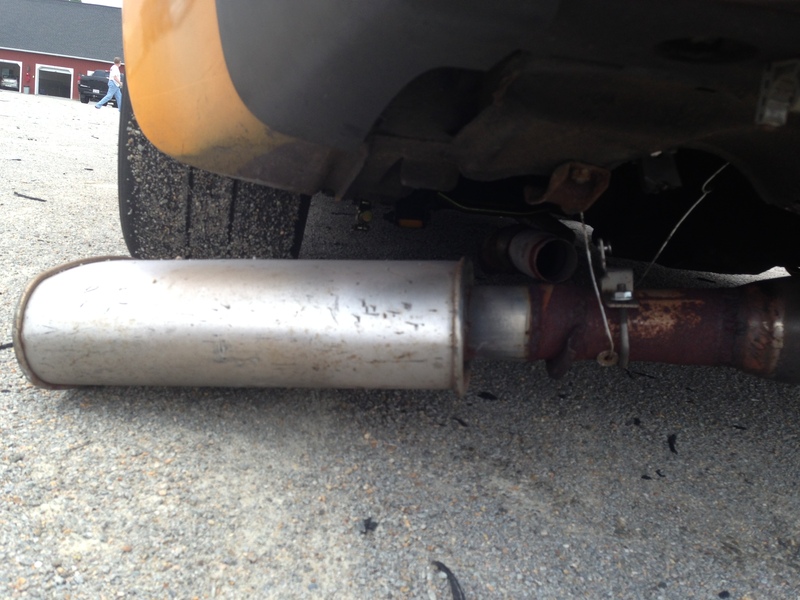 In the 2nd run on Sunday I had an “off” between 3 and 4 and snagged my muffler on the “gators”. It was ripped loose from the exhaust pipe but fortunately the coat hanger safety wire that I had installed kept it from falling all the way off. I got the meatball flag and went to the pits. I was able to remove the muffler and run with a straight pipe for the last 2 sessions. It was obnoxiously noisy but kept me in the game. A great fun weekend. As usual, VIR is a wonderful track.